In 1990 Jacqueline left the security of full-time employment to enable her husband to start his expat career. The family experienced two postings: the first for Nedlloyd in Singapore, the second for Heineken in the Caribbean. 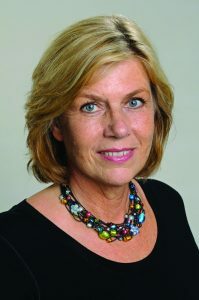 After returning to the Netherlands in 1999, Jacqueline was asked to chair the Heineken Partner Network (HPN). Run by volunteers and sponsored by Heineken, HPN provided a platform for information exchange between expat spouses. In 2003, HPN initiated the shared partner network Global Connection, allowing multinationals worldwide to join and make the network available to spouses of their expat employees. Over the years, Global Connection expanded its activities and has become the one-stop shop for partner support. Jacqueline, who is the proud mother of two young men, loves to work (work being her favourite hobby), and she also enjoys gardening and going to the gym in her few spare moments.